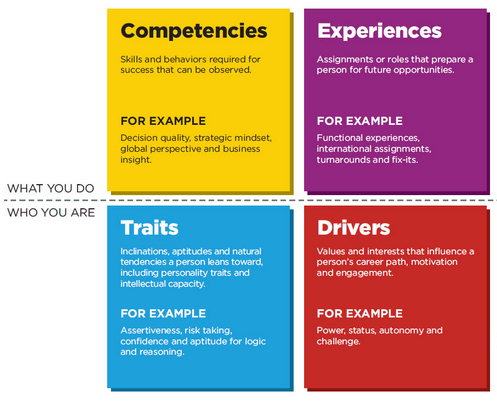 Leveraging the world’s largest set of data on talent and decades of research, Korn Ferry has catalogued the elements of talent and isolated the most potent facets. The result, Korn Ferry's Four Dimensions of Leadership & Talent, is the talent intelligence engine that powers all our solutions and products. It is the world’s most credible tool for analyzing and predicting the success factors of workplace and leadership performance. The precision of KF4D’s predictive insights is the result of the world’s richest data set: over 8.5 million executive and professional candidate profiles and 2.5 million assessments. Our data spans every industry, job function, and level from individual contributors to CEO. Knowledge Blitz - KF4D - Part I: How Assessing Talent Drives Business Success from Korn Ferry on Vimeo.